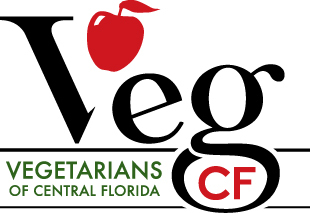 Vegetarians of Central Florida has existed for 12 years to create community for local vegans, vegetarians, and those aspiring to be. We do this through vegan festivals, restaurant visits and other events, our Facebook page (with over 3,000 members), and various promotions/joint ventures. We also have done our best to support local veg businesses in any way we can. VegCF will have monthly full page ads in Natural Awakenings Magazine with six advertisers in each ad (see sample ad below). We have had a long-standing relationship with Natural Awakenings as one of the primary sponsors of Central Florida Veg Fest and Central Florida Earth Day. The cost to be included in a Natural Awakenings monthly ad is $150.00 per month (paid directly to Natural Awakenings). VegCF also has the opportunity to arrange for discounted ads in the Orlando Weekly, another of the primary sponsors of our festivals. We expect that these ads will significantly increase business for and awareness of the participants. If you are interested in signing up for either of these advertising programs, please contact Larry Rumbough at (321) 331-1859 or info@VegCF.org. Thank you for your consideration.